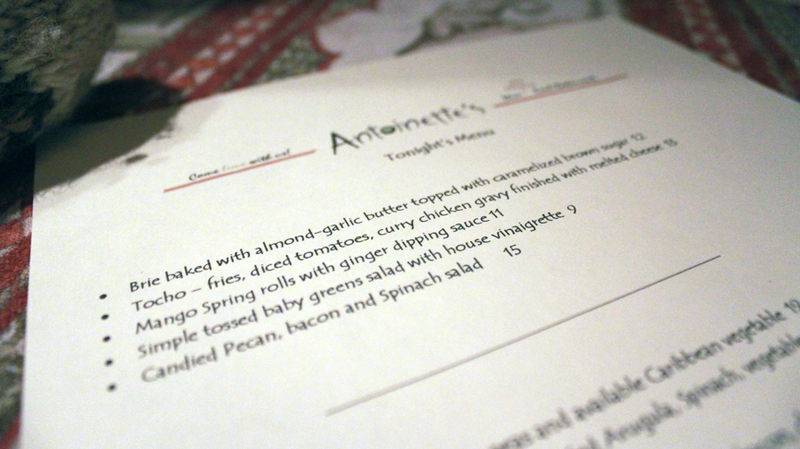 The menu at Antoinette’s, in Whitehorse. This morning we left Whistler and headed to Vancouver. And from Vancouver airport we headed to Whitehorse, in the Yukon. When we arrived it was -17℃. In other words, a bit chilly. After we checked in at the hotel, we headed to a nearby restaurant. First meal in the Yukon! I ordered a vegetable and lamb stew. It was very good and WARM. And when we were done, we went back to the hotel, and I had a nap. 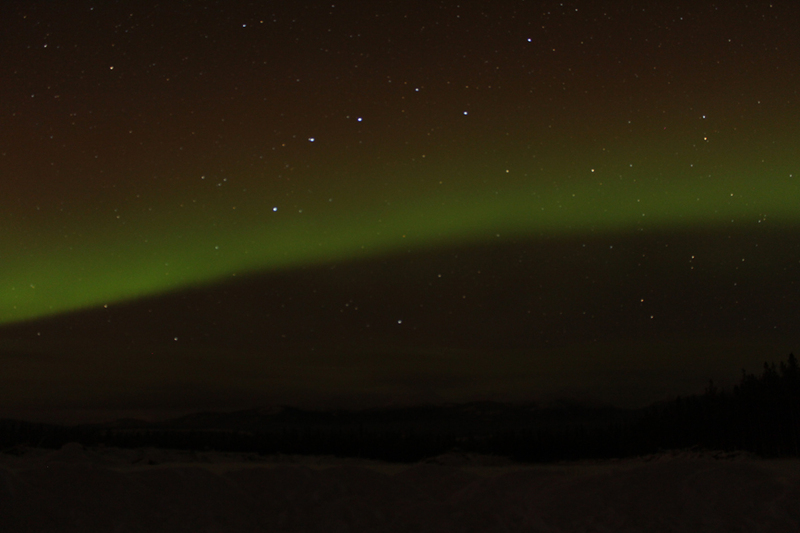 Because we went on a tour to see the Northern Lights tonight at 9:30pm. In the beginning, nothing was really showing up all that well. The start of something brilliant. It was so cold outside, that my tripod and camera itself were freezing over. And my battery power disappeared really suddenly. As I held my battery in my hands to warm it up, I could hear the people around me get excited. The sky suddenly turned bright. And in the cold cold wind, the lights began to dance. The weird person-like figure on the right is JetDaisuke. In the end, we came back to the hotel at 1:30am. I have a lot of plans for tomorrow, so I have to go now. I hope tomorrow is just as exciting. Posted in Canada, Events, Food, Tourism, TravelTagged #RealCanada, 2011, オーロラ, カナダ, カナダ観光局, ツアー, ホワイト, ホワイトホース, ホース, ユーコン, Canada, Canadian Tourism Commission, CTC, 食べ物, 観光, food, JetDaisuke, Micaela, Nothern Lights, Tour, Tourism, travel, Vancouver, Whitehorse, Yukon, 撮影, 旅行Bookmark the permalink. I totally forgot you could see that in Canada. It’s definitely something I have to do one day, it looks like it would be an incredible experience. Wow! I have always wanted to see the northren lights! So pretty! Thank you for your good work in blogging your travel, i understand all the effort but at the same time i bet you have fun too! Cheers! Hello my friend! I want to say that this post is awesome, great written and include approximately all vital infos. I’d like to peer extra posts like this .